Let the Harte Collision Center Fix Up Your Ride! We Are Both A Nissan And Infiniti Certified Collision Repair Center! The Harte Collision Center has passed all of the Nissan and INFINITI manufacturer requirements including training and equipment, and we also have extremely competitive pricing on factory parts so we can compete with the aftermarket and get you the safe and proper parts that are best for YOUR car! 3M Clear Bra Protection Packages Now Starting As Low As $549 For ALL MAKES & MODELS! The 3M clear bra protection is a clear film that can be applied to the hood, mirror covers, tips of fenders and front bumpers. 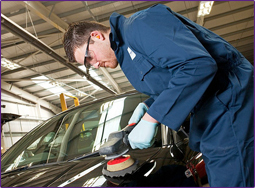 This will protect your car’s paint against stone chipping so you can enjoy that “like-new” appearance for a long time! 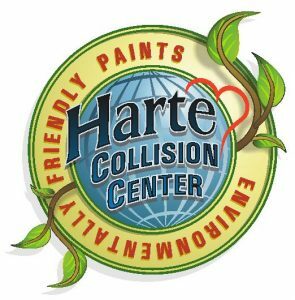 If you’re looking for a reliable place to repair your car, the Harte Collision Center in Hartford, CT is for you. Featuring ICAR-trained and ASE-certified technicians, state-of-the-art equipment and the Harte Auto Group’s commitment to excellence, the Harte Collision Center will get your car looking and running like new in no time. No matter the make or model you drive, we can get you back on the road! We understand that getting into an accident or finding damage thanks to natural causes leads to plenty of stress, and that’s what we aim to eliminate from the restoration and repair process. That’s why the Harte Collision Center offers a towing service and free estimates, and why our staff is completely transparent about what your vehicle requires. Plus, with our location at 61 Fishfry St. in Hartford, CT, drivers from Glastonbury, New Britain, Manchester and all over Connecticut will find us to be a convenient one-stop shop for all their repair needs. Call 1-860-761-2510 or schedule an appointment with us online today! 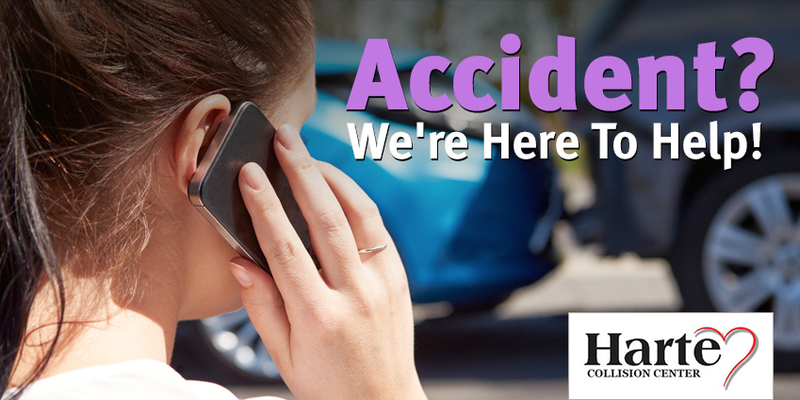 Need more reasons to let the Harte Collision Center fix up your car, truck, van or SUV? Our state-of-the-art Car-o-liner X3 computer frame measuring system ensures that we make the most accurate structural repairs to your car. We provide direct billing to insurance companies and process claims with USAA, Metlife and Esurance. Regardless of your insurance carrier, the Harte Collision Center will represent you throughout the entire repairs process. When it comes time to paint your vehicle, we use environmentally friendly waterborne paint. Our hours are 9 a.m. – 5 p.m. Monday through Friday, providing you plenty of opportunity to find a good time to have your vehicle repaired. We have on-site rental cars that we offer to our customers at a discounted rate. We offer a complimentary local shuttle service, too!